Surrey NEU have sent this donation to the DEC Cyclone Idai appeal . Thank you so much for your donation to the DEC Cyclone Idai Appeal. 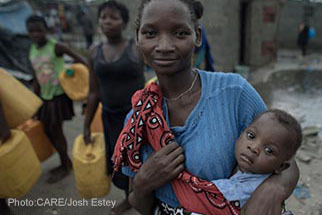 Thanks to your generosity, we’ll be able to provide vital support to people affected by Cyclone Idai. Your donation will allow DEC member charities to respond by providing emergency shelter kits, food such as pulses and maize flour, water purification tablets and urgent health assistance. Thank you too for signing up to Gift Aid. We will be able to claim £125.00 on your £500.00 donation, increasing your gift to £625.00 and meaning your support will reach even more people. As a result of our partnership with the UK Government, your donation has been doubled. Through its Aid Match scheme the UK Government will match pound for pound a further £2 million of public donations, allowing your contribution to go even further. Follow us on Twitter: www.twitter.com/DECappeal. Please also share news of your donation with your friends and family and help amplify the DEC’s message by sharing our updates. If you have any queries relating to this donation, please contact our Supporter Care online. Asbestos Management in Schools : please respond ! National Education Conference 2019 : Full details attached ! This website is run for and by the Surrey division of the National Education Union. To visit the National website of the NEU please click here.